Government road officials, business owners, and the general driving public, require clearly defined road and parking lot pavement markings that meet the regulatory requirements of Anchorage guidelines. Professional pavement marking and striping is critical for the safety and efficiency of any business. Anchorage residents rely on Straightline for their commitment to safety and accuracy. Among its many services as a respected paving contractor, Straightline understands the importance and responsibility involved with providing an accurate and trustworthy pavement marking service. 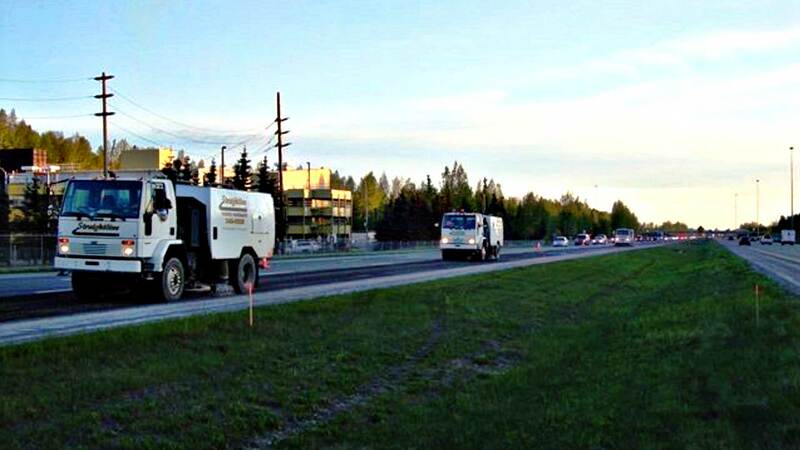 Is an Anchorage pavement maintenance contractor required to provide regulatory knowledge for pavement markings? 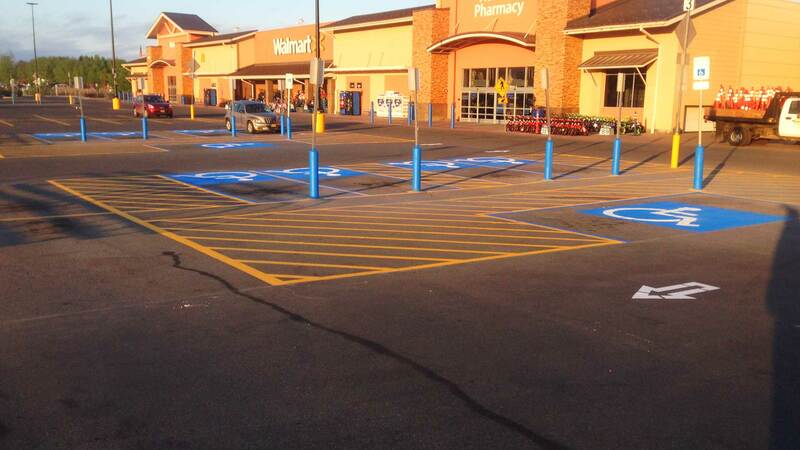 Did you know that one handicapped parking space must be designated for every 25 parking spaces in a Anchorage lot? Straightline work crews apply expert pavement marking to parking lots according to legislated guidelines. Because of the harsh winter weather in Anchorage, parking lot striping (or painting) is a regular and recurring necessity to keep parking lots looking sharp and organized. Winter plowing, scraping and sand and gravel takes a toll on Anchorage parking lots. Outdoor parking lots and curbs usually require re-striping about every 1-3 years, depending on traffic volume and weather. Straightline project managers are experienced at completing projects that require parking lots to remain partially accessible while they are being worked on. We use commercial-grade equipment and materials for a professional-looking and long-lasting finish. Our traffic paints are the industry standard and are the same products that you would see on municipality thoroughfares. We can create custom stencils for placement on your lot to keep cars organized and keep drivers from being confused. Also, we can help you become or remain compliant with fire department regulations with regard to Fire Lane and No Parking areas. 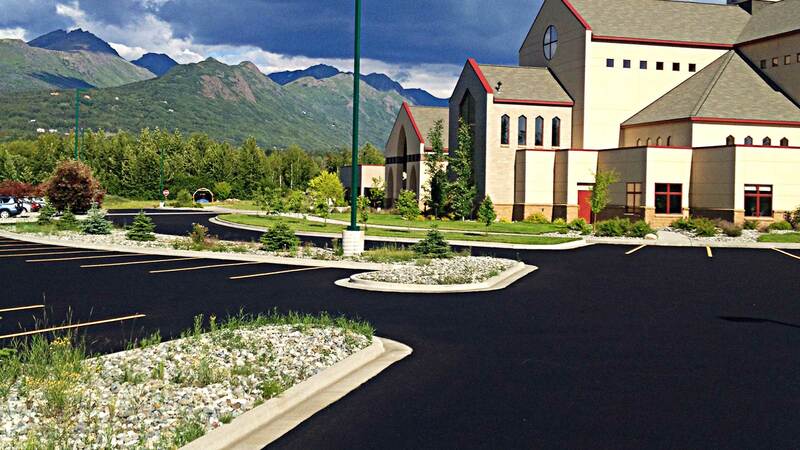 Whether restriping your parking lot or creating a brand new layout that keeps Anchorage traffic areas safe and well organized, consult with our professionals by calling (907) 349-0529.